A properly working and maintained septic system, although unseen, will service your home well and should last for decades. An improperly working septic systems can have an adverse affect on your property as well as the environment; sewage seeping into groundwater and environmentally sensitive areas can be deadly in some cases as harmful bacteria resides in sewage. Left unchecked, contaminated water sources such as streams, lakes, rivers, etc. can result in fish and other food sources carrying harmful elements. If your home is in a watershed area and is in failure, the health of the surrounding residents can be adversely impacted. For these reasons, onsite wastewater systems of all types must be maintained, pumped, serviced, and have diligent oversight by the state of Massachusetts but more so, by the local Board of Health. The Massachusetts Department of Environmental Protection (DEP) implemented strict regulations in 1995 known as "Title 5" in order to protect the health and well-being of the communities. All Boards of Health are required to abide by and enforce the DEP's Title 5 Regulations (310 CMR 15) that govern the design, construction, inspection, maintenance, and any repairs done to septic systems. Moreover, the state extends even more local authority to each municipality to ensure the most optimal regulations desired by that city/town. The Gloucester Board of Health adopted and enforces its own Onsite Wastewater Regulations which, in some instances, have more stringent requirements than Title 5 regulations; the local regulations almost always overrule state regulations. As a homeowner of a septic system, it is your responsibility to maintain the septic system; in order to do so just takes a few moments to educate yourself on the proper ways of using a septic system (what not to flush, how often to pump, red flags to look for, etc.). With proper care, a septic system will last for decades. See the links below for some general information. Please note that all work done (pumpouts, maintenance on alternative systems, repairs, etc.) must be done by professionals who must be permitted within the City by the Board of Health. If you have your septic system pumped, the hauler/pumper must be permitted by the Gloucester Board of Health, and reports for all activities must be provided to the Board of Health; some within 14 days by Massachusetts law. It is required of the haulers, installers, and operation and maintenance providers by Massachusetts Law ("Title 5") that they report all activities to the Board of Health in the form of a report or record; these are maintained in your property file. It is recommended that you keep your copy of all maintenance/pump-outs, etc., in the event that the professional has not provided the Board of Health with copies. Please check the lists provided by the Board of Health to ensure that you are using a permitted professional before having any work done to your septic system. 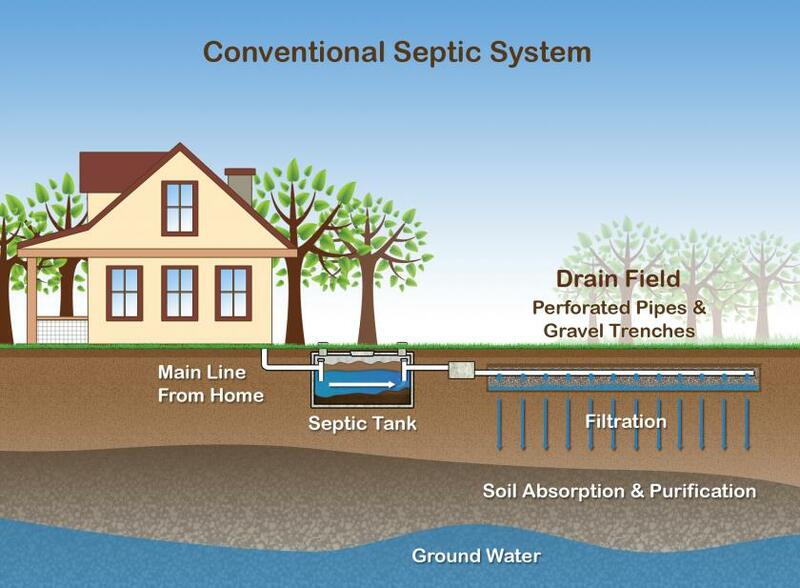 If you have any questions at all about septic systems, please feel free to contact the Gloucester Board of Health at 978-325-5263. It's important to know what is beneficial or harmful to your septic system. Do have the system inspected and pumped every 3 to 5 years (systems do not need to be pumped annually as a general rule). If the tank fills up with an excess of solids, the wastewater will not have enough time to settle in the tank. These excess solids will then pass on to the leach field, where they will clog the drain lines and soil. More information on pumping . Do know the location of the septic system and drain field, and keep a record of all inspections, pumpings, repairs, contract or engineering work for future references. Keep a sketch of it handy for service visits. Do grow grass or small plants (not trees or shrubs) above the septic system to hold the drain field in place. Water conservation through creative landscaping is a great way to control excess runoff. Do install water-conserving devices in faucets, showerheads and toilets to reduce the volume of water running into the septic system. Repair dripping faucets and leaking toilets, run washing machines and dishwashers only when full, and avoid long showers. Do divert roof drains and surface water from driveways and hillsides away from the septic system. Keep sump pumps and house footing drains away from the system as well. Do use only additives that have been allowed for usage in Massachusetts by MassDEP. Additives that are allowed for use in Massachusetts have been determined not to produce a harmful effect to the individual system or its components or to the environment at large. Do take leftover hazardous chemicals to your approved hazardous waste collection center for disposal. Use bleach, disinfectants, and drain and toilet bowl cleaners sparingly and in accordance with product labels. Do not use your toilet or sink as a trash can by dumping non-biodegradables (cigarette butts, diapers, feminine products, etc.) or grease down your sink or toilet. Non-biodegradables can clog the pipes, while grease can thicken and clog the pipes. Store cooking oils, fats, and grease in a can for disposal in the garbage. Do not put paint thinner, polyurethane, anti-freeze, pesticides, some dyes, disinfectants, water softeners, and other strong chemicals into the system. These can cause major upsets in the septic tank by killing the biological part of your septic system and polluting the groundwater. Small amounts of standard household cleaners, drain cleansers, detergents, etc. will be diluted in the tank and should cause no damage to the system. Do not use a garbage grinder or disposal, which feeds into the septic tank. If you do have one in the house, severely limit its use. Adding food wastes or other solids reduces your system's capacity and increases the need to pump the septic tank. If you use a grinder, the system must be pumped more often. Do not plant trees within 30 feet of your system or park/drive over any part of the system. Tree roots will clog your pipes, and heavy vehicles may cause your drainfield to collapse. Do not allow anyone to repair or pump your system without first checking that they are licensed system professionals. Do not perform excessive laundry loads with your washing machine. Doing load after load does not allow your septic tank time to adequately treat wastes and overwhelms the entire system with excess wastewater. You could therefore be flooding your drain field without allowing sufficient recovery time. You should consult your tank professional to determine the gallon capacity and number of loads per day that can safely go into the system. Do not use chemical solvents to clean the plumbing or septic system. "Miracle" chemicals will kill microorganisms that consume harmful wastes. These products can also cause groundwater contamination. Massachusetts law requires that any home being sold must have a Title 5 Inspection done prior to changing hands. This inspection lets the new homeowner know the status of the system; the inspection fee is the responsibility of the homeowner and any repairs needing to be made (or in some case, the system may need complete replacing) is usually at the cost of the homeowner but that is something worked out by the parties involved; often times, monies are put into escrow for this purpose. Work with your bank and other institutions during the process and for exact requirements. Homeowners and realtors need to know that the process of scheduling an inspection, the time taken to write up the report and submit to the Board of Health for review, the time needed for the licensed installer to make any needed repairs, and the letter of review by the Health Department take time; it is highly recommended to all parties to immediately schedule for the Title 5 Inspection to be done so that the closing date is met successfully. The process is not one that can be rushed, so the earlier the homeowners and realtors take care of this very important step, the better. 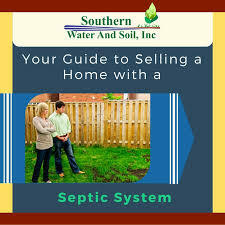 If the home being sold has a failed septic system and would fail inspection, the homeowner can bypass the expense/inspection process by completing and submitting an 'Agreement to Upgrade a Septic System or Connect to Sewer form instead. (Please note that if you do connect to the sewer system, your septic tank will need to be abandoned by a Gloucester-permitted installer; the installer take out an Application to Abandon Septic System, will crush the tank, fill with stone, submit photos or have the Health Agent witness), etc. Please contact the Health Department at 978-325-5263 for more information and for the Agreement.